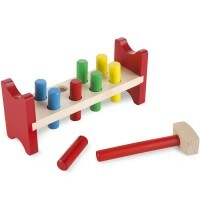 Hammer & peg sets have always been among all-times favorite classics. 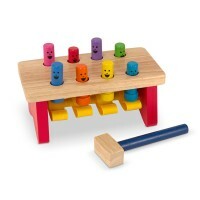 Pound & Hammer Toys from Educational Toys Planet include the classical sets plus newer versions of baby and toddler favorite activity. 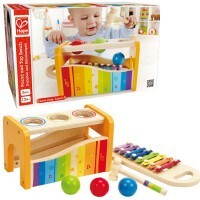 What can be more fun than pound the balls down the garage ramp, or hammer the colorful pegs in the bench, or take the balls out of the ball rolling tower, or push the wooden balls on the xylophone keys and hear musical notes every time you do it. 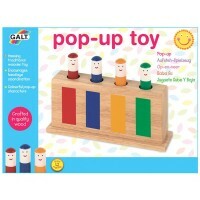 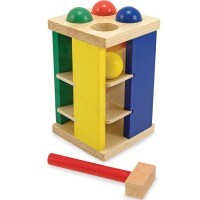 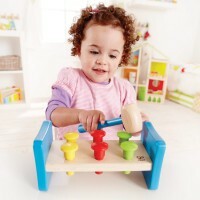 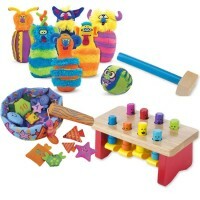 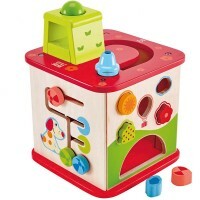 Manipulative fun and active play for the little hands are guaranteed with the Pound & Hammer Toys.